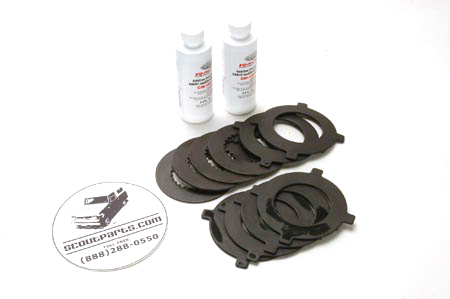 This kit is the standard rebuild kit for the Dana-44 axles used in Scout 800, Scout II, Travelalls, and pickups. The heavy-duty one is no longer available. Made by the axle OEM, this also comes with 2 bottles of Ford Motorsport additive, which is the best friction modifier available. Clutches are coated with Kolene nitriding for better function with less heat buildup.